At the beginning of the summer, I received an opportunity to sponsor Kester’s Krew, one of the more famous, local women’s softball teams here on the Island. My client, Cherrish Beals, contacted me and told me that they needed a sponsor and this year, Kester, the coach, was ill and could not be there for the ladies. So, it was that much more important for the team to continue, just for Kester’s sake. I’m so happy that I followed my instincts and said, “Yes,” jubilantly. 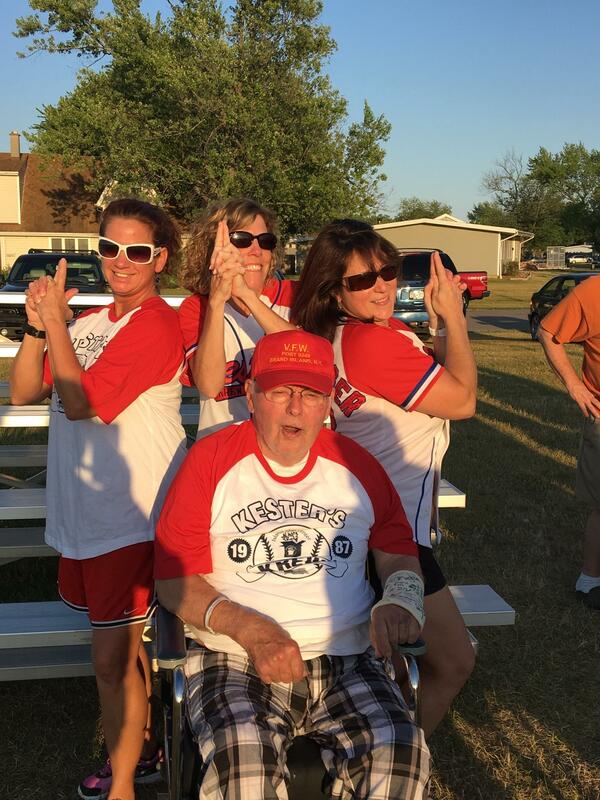 1 – William Kester Bleich (Known as Coach Kester) just turned 84 and has coached Grand Island softball teams for more than half his life! He has a long legacy of being an umpire and a player as well. 2 – His current team has players that have been coached by him since 1987. One player remembers him teaching her how to hit to right field using a wooden bat…that’s how long ago it was! 3 – He’s coached so long that he’s coached the daughters of many of his former and current players. 4 – Through the years several Grand Island businesses have sponsored Kester’s Krew inlcuding The Beach House, Fuccillo Auto Dealerships, Aceti’s, Marco’s Deli and Rocky’s Island Pizza. I’m sure there are hundreds of stories players for Kester could share of the difference he’s made in their lives and the great man he is. Kester’s Krew recently gathered for a team photo with the man, the myth, the legend which I’ve attached. A few of his original angels posed with him in the second picture. Shannon Zaccaria designed the team shirts and when I shared the teams story with her she smiled and said, I know Kester. My daughter is one of his caregivers at Elderwood! As always, I thank you for the opportunity to be of service to Grand Island and the Western New York community at large.